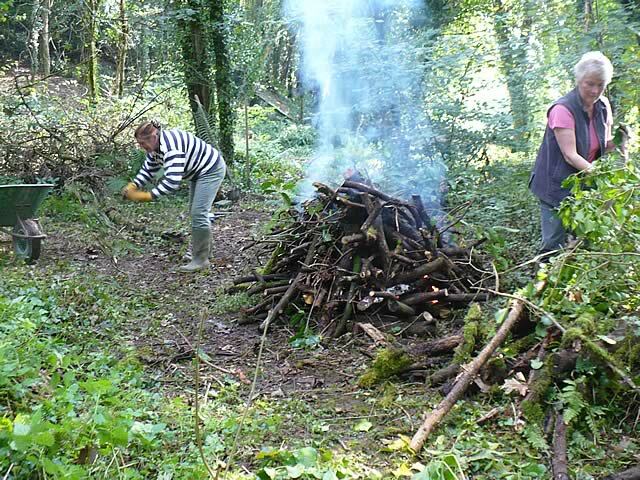 Pre 2010, here are a variety of images in the woodland; from old buildings to nesting birds. 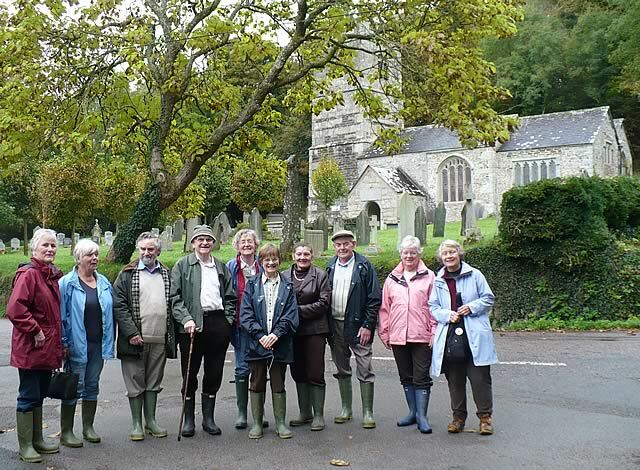 A core group of volunteers off to the garden for a woodland tutorial led by Peter Webb. 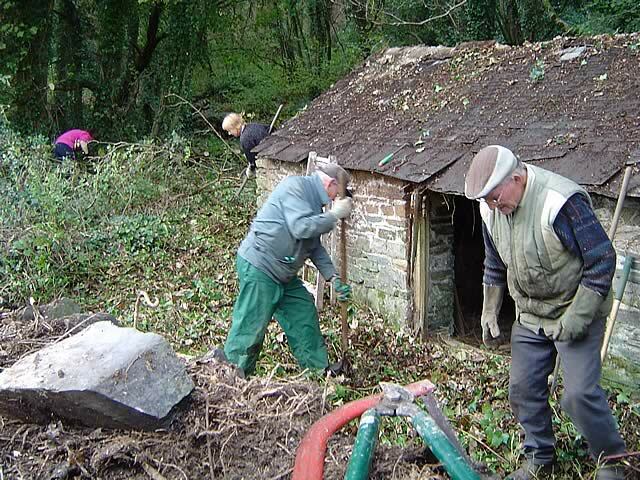 Clearing ivy from a pigsty that was built by Sabine’s father, Edward around the middle of the 19th century. 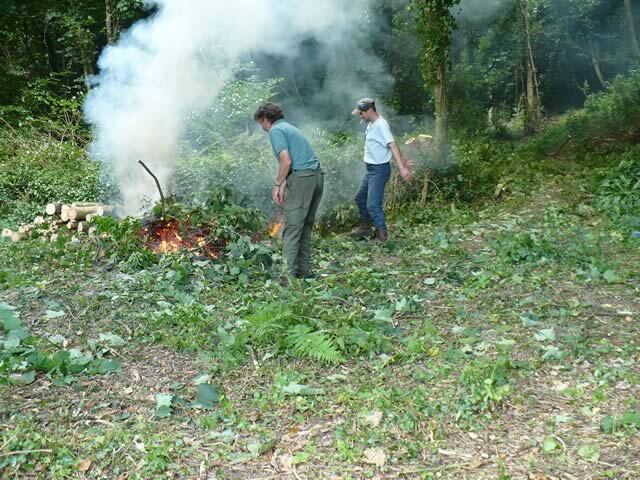 Ruth and Nancy clearing away almost a hundred years of debris. 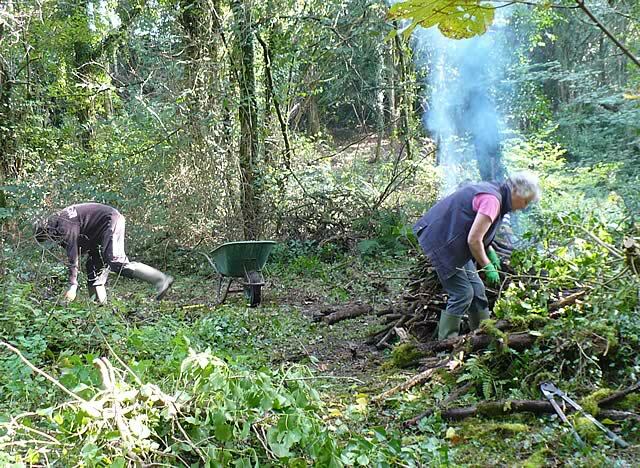 Will and Ruth continue the good work. 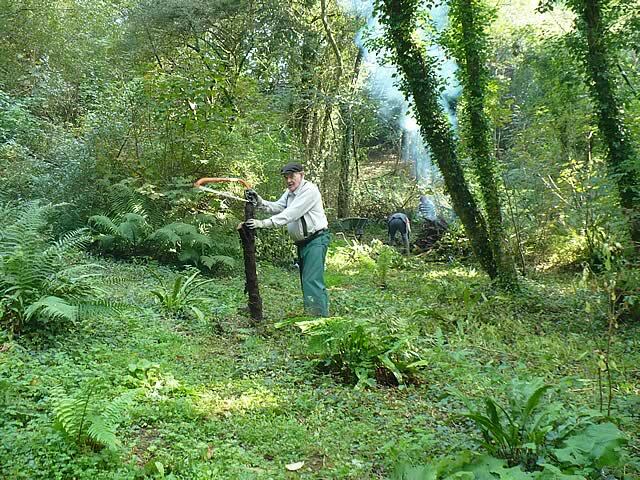 Our tree surgeon, Dmitri, felling just one of a-many 'weed trees'. 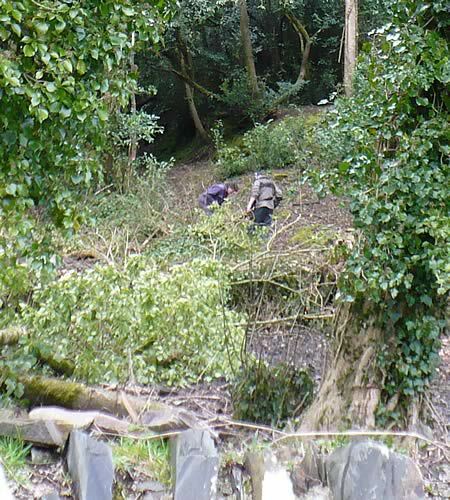 Brian and Dmitri clear up their debris after a felling session. Tony and Brian metal detecting in the yard. Harold, the project manager, using a good old-fashioned handsaw. 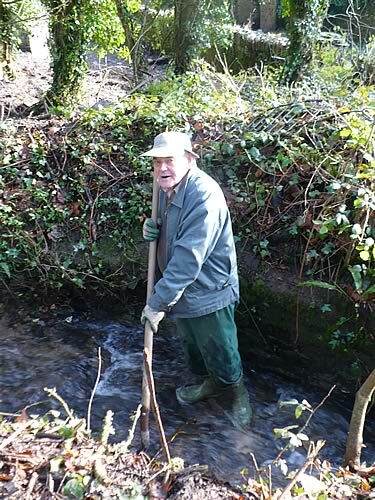 Harold clearing debris from the stream after the winter storms. A magnificent Acer – one of the jewels of the garden. 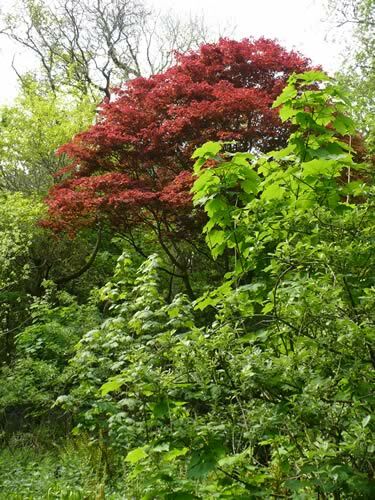 The scarlet oak, quercus coccinea, renowned for its large leaves and splendid autumn colour. There are several fine specimens in the garden that were probably planted by Sabine Baring-Gould in 1891. There are also some Red oaks, quercus rubra. 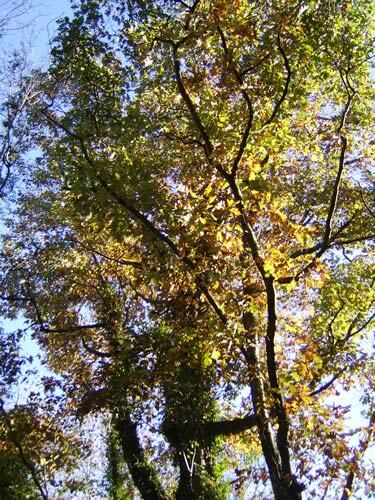 Although both have large leaves, those of Red oak are significantly broader. 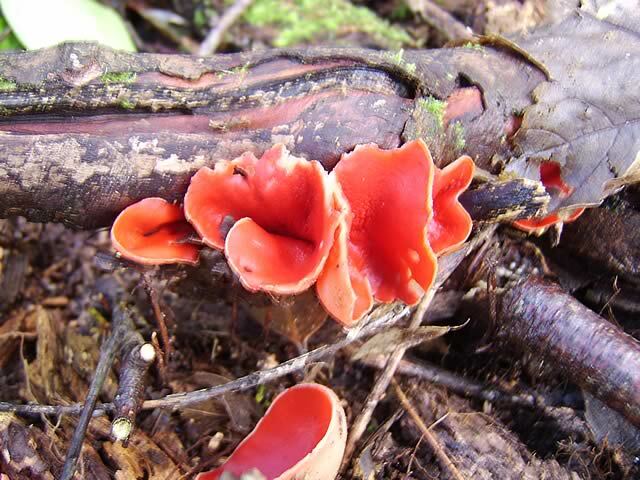 he scarlet elf cup, sarcoscypha coccinea, grows on fallen branches in damp and shady woodland and is a welcome visitor to the winter garden. Dicentra Formosa. 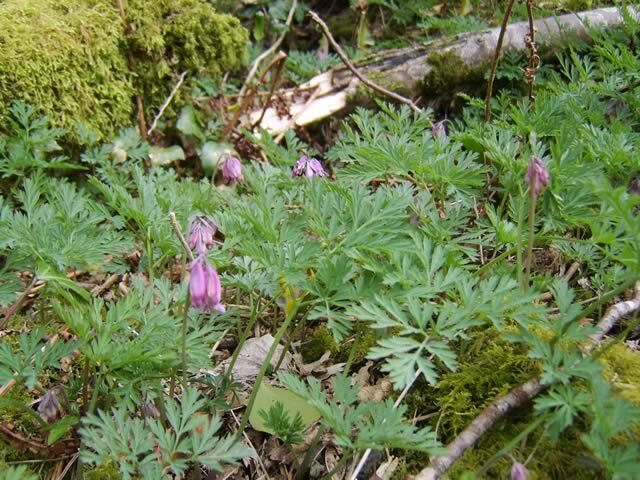 Along with daffodils and periwinkle, the Dicentra grows in some profusion close to the site of the Holy Well. 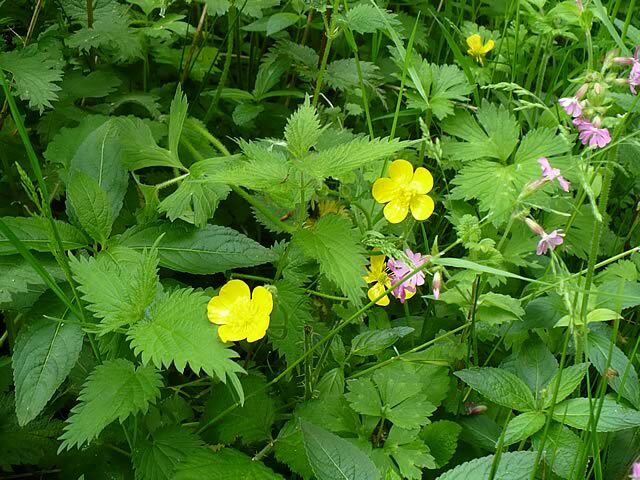 Just a few of the wild flowers to be found in the garden. 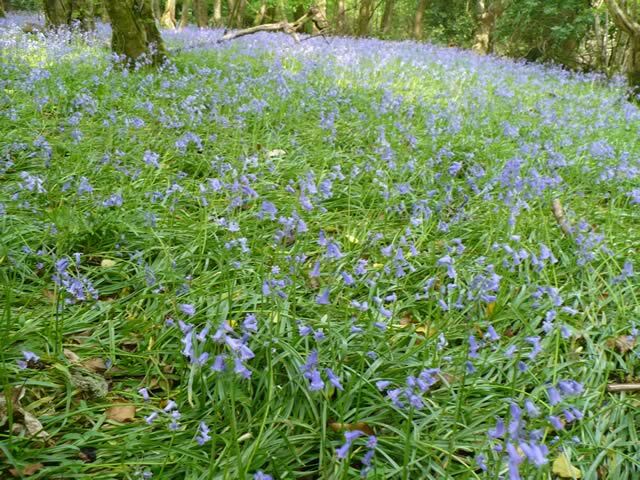 In May, the ancient woodlands come into their own with a magnificent display of bluebells. 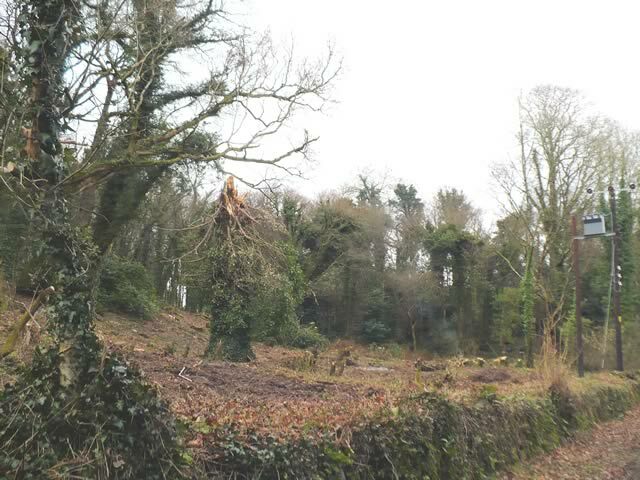 Although the glade is being restored by removing the weed trees, this old stump will be retained as a wildlife habitat. 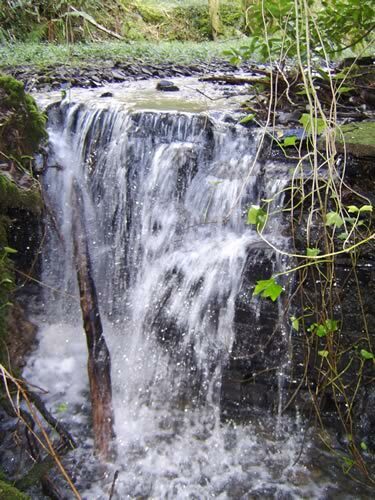 The waterfall situated close to the site of the well is broad, semicircular and split in two by an island. This cascade is over a damaged section at the western end of the fall. The eastern end of the waterfall was served by a pond that is now silted up. As a result it has been less at the mercies of the stream when in spate and is therefore better preserved. 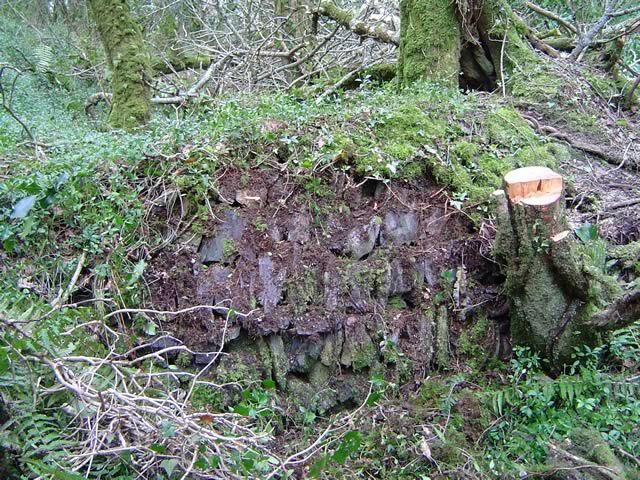 Upstream of the waterfall there is evidence that at some time in the past the stream was diverted to create a water tank now dry and densely overgrown.The picture shows the stone retaining wall at the end of the tank. The purpose of the tank is not known. 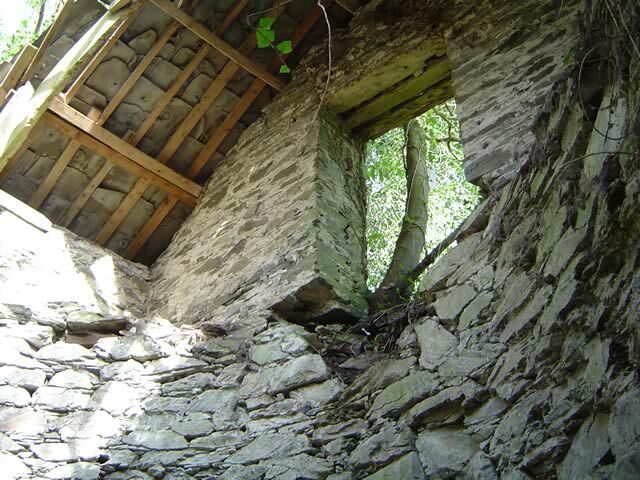 Hidden behind a curtain of weed trees is a round stone tower with a lean-to entrance, a rectangular roof and a rectangular outer skin. 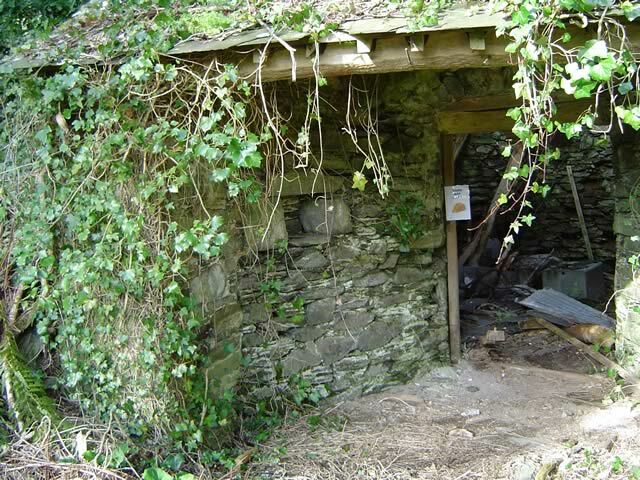 Probably at one time this was an atypical icehouse but in the past it may have served other functions. One of the mysteries of the garden. The lean-to entrance to the icehouse. 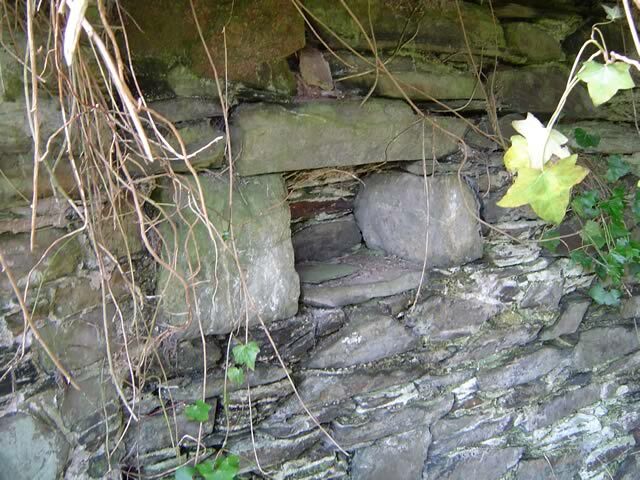 The niche in the wall of the lean-to entrance. For pasty or more probably the lantern of visitors to the icehouse. This imposing arch separates the lean-to entrance from the round tower. Inside the round tower of the icehouse. 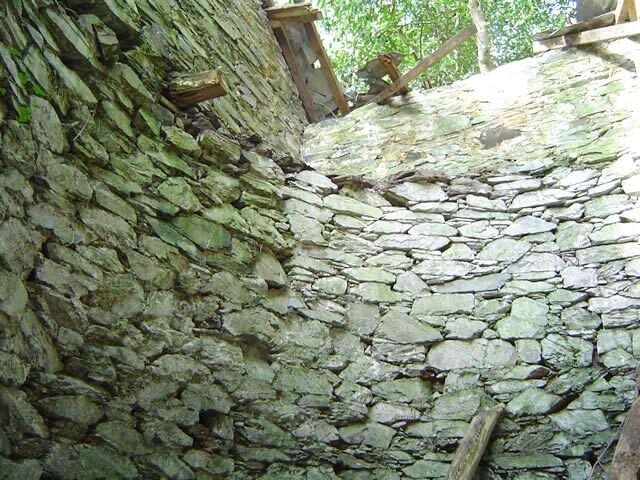 The remains of the rectangular top of the icehouse. The grotto cave. 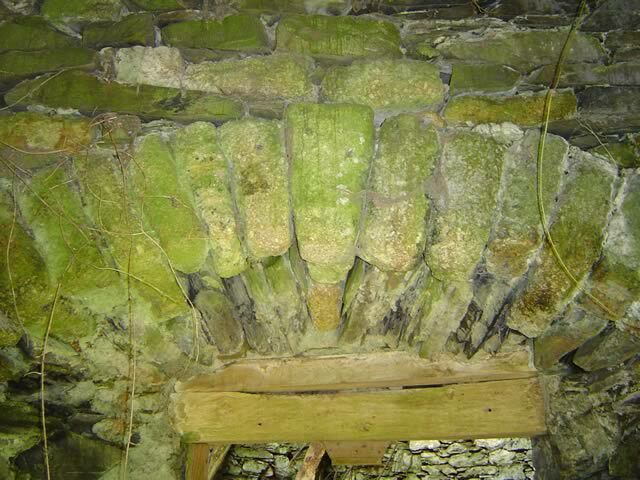 This man made structure was probably not created by Sabine but incorporated into the garden by him as a grotto. 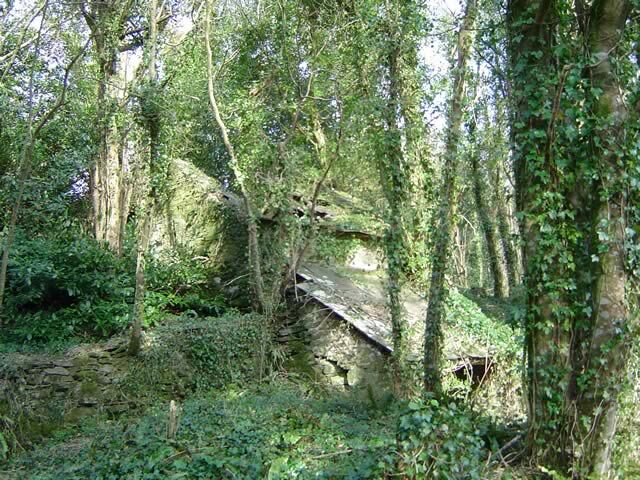 The grotto is located in an area of the garden from which stone was quarried to build Lew House in the 17th century. 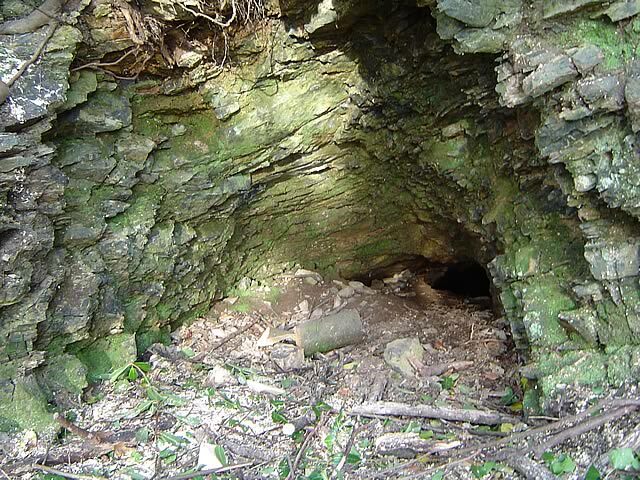 The cave may have been created as part of that quarrying or it may be the remains of earlier mining activity. Time may tell. 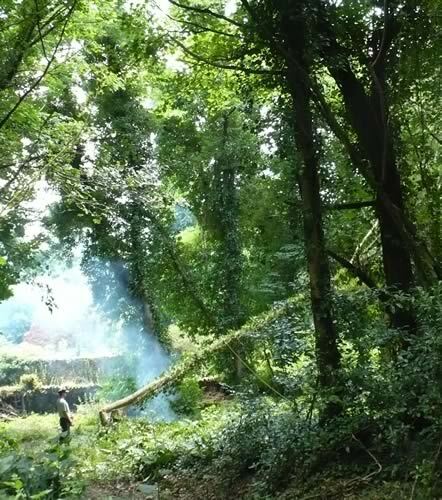 In the part of the garden created from the old quarry are the remains of walkways with viewing points at different levels. 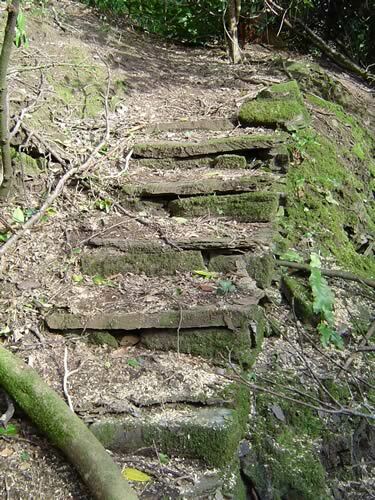 A little way above the grotto is a flight of slate steps probably leading from one walkway to meet with an old footpath from Lew House to Down House. 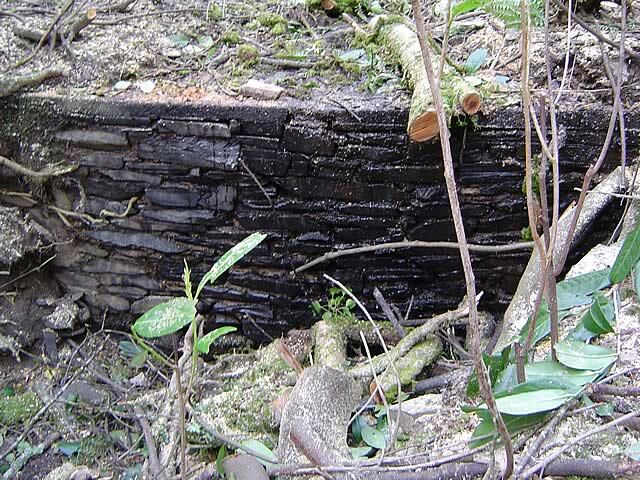 It is anticipated that the remains of other flights of slate steps will be uncovered in time. 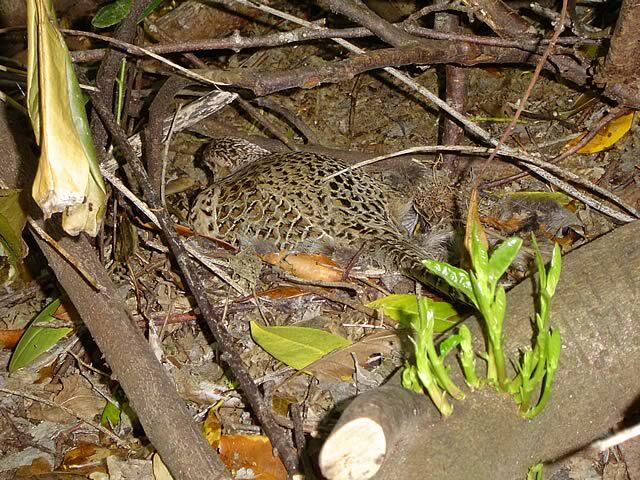 In 2008 this female pheasant nested beside a pathway in the garden. Two chicks hatched out the day after the photograph was taken.